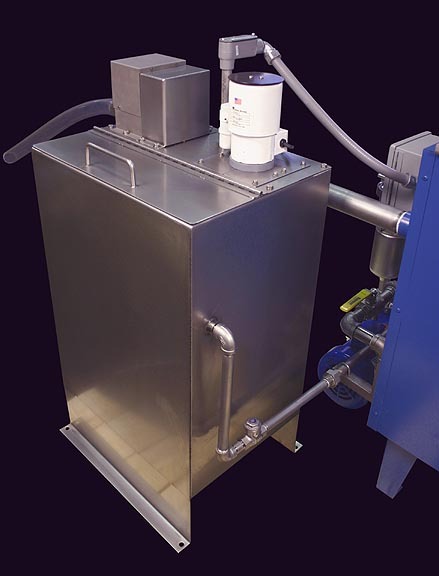 This simple but effective cell washer was built to provide in process degreasing of component parts using a mild aqueous cleaning agent. Parts are loaded into baskets and placed onto the process elevator. 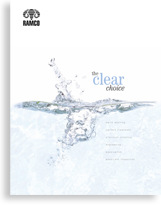 The system washes with a brisk vertical oscillating motion generated by the RAMCO pneumatic circuit and patented Floating Cylinder. 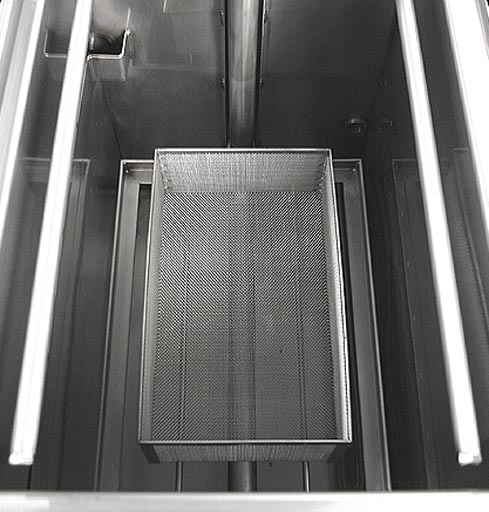 The process elevator automatically takes the basket into and out of solution. The elevator oscillates with either a short or long stroke. The operator coordinated the process cycle using three pneumatic control switches shown above to the left. The top up/down switch signals the elevator to descent and oscillate in solution. The center long/short switch is used to select either long 5 to 9 inch or short 2 to 4 inch strokes. The long stroke is used to provide better flushing (hydraulically forcing solution though the working area) of nested masses or complex part shapes with recessed passages and/or blind holes whereas the short stroke is used to provide quicker oscillations and faster cleaning of simpler parts. Flexibility in stroke ranges and speeds allows for more comprehensive cleaning of a wider range of parts. (see Dynamic Flow Combination). The bottom switch is used to energize compressed air blow-off from the dual headers as shown below. 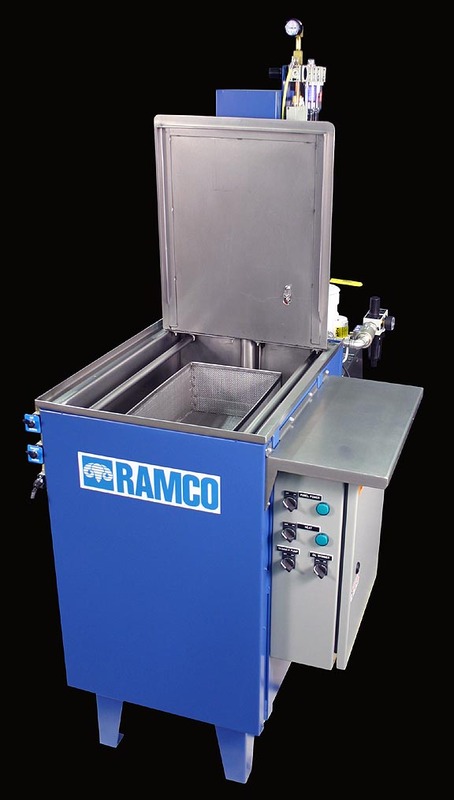 Other features include an automatic oil removal system designed to trap oil in an off-line quiet tank The RAMCO Surface Sweep system uses a sweep header strategically located in the wall of the washing chamber and a large overflow dam built into the opposing wall. Our OR-6CVS Automatic Oil Removal System traps oil in a stainless steel holding tank. The tank uses a vertical immersion pump to discharge oil free detergent through the sweep header creating a lateral flow across the surface of the bath. The flow directs surface oil to the large overflow dam. Oil-detergent emulsions separate in the off-line quiet tank and oil rises to the surface. A stainless steel belt skimmer automatically removes accumulated oil and routes it to a separate collection container. Surface Sweep prevents floating oil from redepositing onto cleaned parts.